Happy Friday, friends! This work week was a LONG and crazy one - safe to say I'm happy it's over! I was in Target a few weeks ago getting straws for my Fourth of July party and I ended up wandering over to the clothes - Are you even surprised? I was searching through the clearance racks (something I never do in Target because they're always packed full and a mess) and hit the jackpot. I found this gorgeous white top for less than $15, a fun ruffle dress for less than $10, and much more! Trying to justify the fact that I bought more than straws during this Target trip, it happens to the best of us. 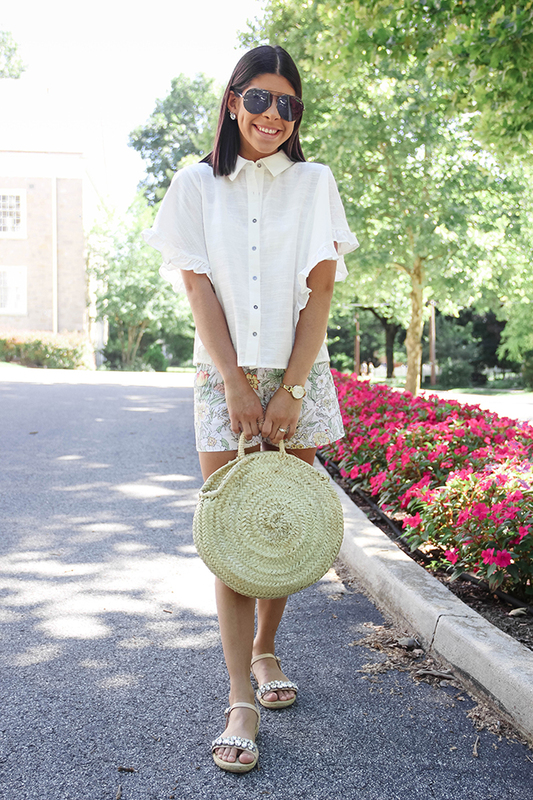 These hot and humid days have me reaching for lightweight pieces and this look is one of my favorites. 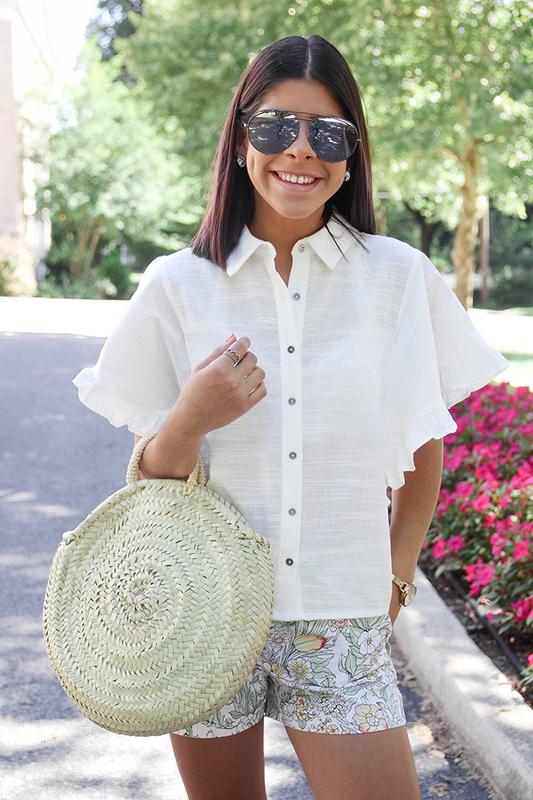 I love this top because it's simple, but has fun ruffle detail that adds the perfect feminine touch especially when paired with floral shorts like these. This is one look that I'll be reaching for a lot for the remainder of summer!